In the 1890s, Nikola Tesla captured the imagination of the world with his invention of the Tesla coil, a device that could transmit electricity through the air, no wires required. More than 100 years later, the world has responded by adapting this breakthrough technology… mainly to recharge their electric toothbrushes. But things are changing rapidly in the world of wireless power, with some new ideas coming to the forefront in the last few years. As more and more gadget makers get hip to the idea of a world without power bricks, this is a technology category that’s about to explode. How will your phone, your lights, and even your electric car someday be powered without a wire? 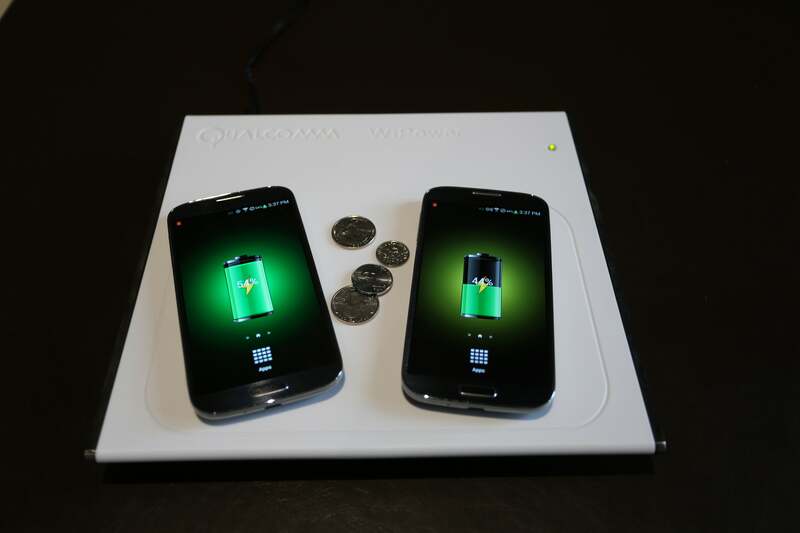 Here’s a primer on how wireless power works. 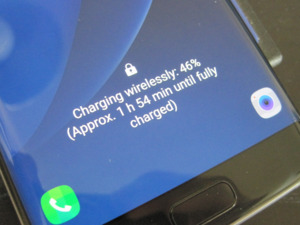 Take a device that has a battery inside and rest it on a special charging station or place it on a charging pad: This type of wireless power—which most of us have at least seen over the past few years—is known as inductive coupling. It involves two devices, but there are no visible electrodes or obvious contact points. The technology revolves around the use of magnetic fields to create an electric current. Run electricity through a coil of wire, and it creates a magnetic field. In the typical inductive coupling scenario, this coil is found inside the base station or charging unit, which is plugged into the wall. Now take another coil of wire and place it in close proximity to (but not touching) the first coil. In our example, this second coil is inside the toothbrush or smart phone. When the magnetic field of the first coil interacts with the second coil, it generates an electrical current. This is called induction. The current isn’t much, but then again, your toothbrush doesn’t need much power to recharge its internal battery after the couple of minutes you spend brushing your teeth each day. So, as if by magic, the device is always fully charged. The use of inductive coupling in electric toothbrushes was born of necessity. Exposed electrodes don’t work—and in fact could be very dangerous—if they get wet. More recently, as this technology has been improved to provide greater levels of efficiency with smaller components, its primary utility is becoming one of convenience. No need to plug your phone in at home or in the car, inductive couplings located strategically in your house and vehicle can take care of it for you, automatically. Inductive coupling is a neat idea, but its extremely short range—often on the scale of a few millimeters—makes it minimally useful in the real world. (The distance the current can travel depends on the diameter of the coils and the number of windings.) The bulk of research today has focused on maximizing the distance at which current can be induced, and minimizing the loss of power over that distance. More recent research has found that you can extend the useful range of an inducted current by using materials with the same resonant frequencies. All objects have a natural resonant frequency at which they vibrate. Think of a tuning fork. It doesn’t matter how hard you hit it, it always vibrates at the same frequency, emitting a tone with the same pitch every time. When you match the resonant frequencies of the two coils in an inductive-coupling scenario, you get better efficiencies from the configuration. 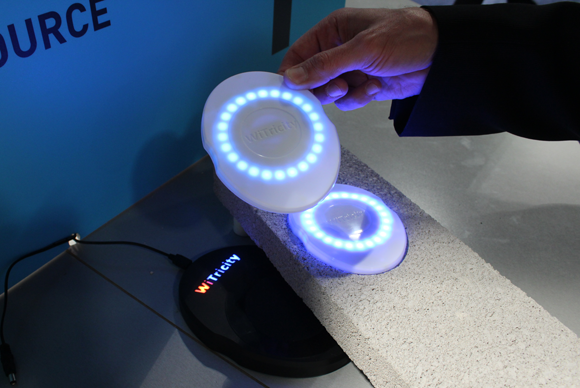 In this example, power is not only being transferred from the device on the countertop to both of the two discs above it, but the electricity is passing through a concrete block in between. The design of resonant inductive coupling circuits is a bit more complex than this, involving the attachment of a capacitor to each of the two inducting coils. Engineers can fine tune both the design of the coils and the plates to alter the resonant frequency. 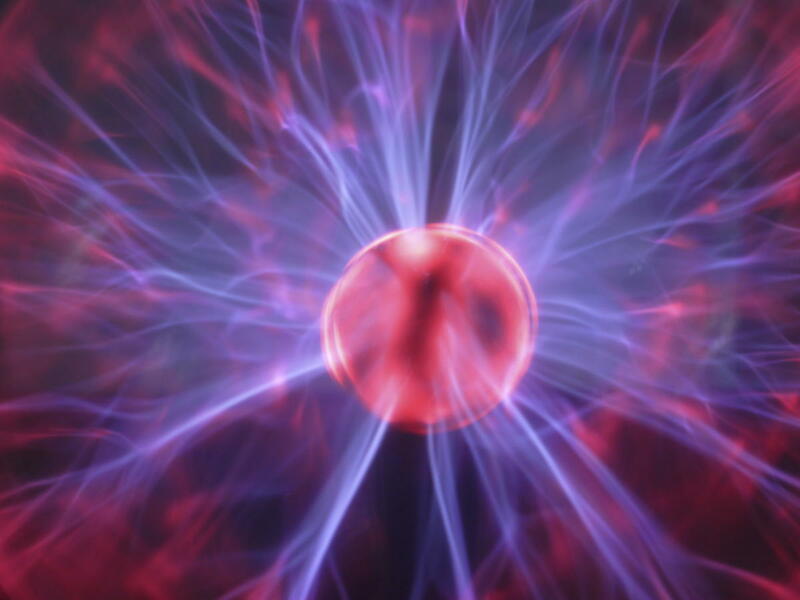 Ultimately, when the system is energized, an electromagnetic wave is generated that can travel from one resonant coil to the next, over much greater distances than have been capable before. The market is already stuffed to the gills with companies that are putting these technologies to use, and standards bodies are rapidly maturing. The Qi specification is being developed by a massive group called the Wireless Power Consortium that includes Microsoft, Panasonic, Samsung, Sony, Toshiba, Verizon, and more. Qi (pronounced chee) is really a simple implementation of inductive coupling, designed to work mainly through devices in physical contact with one another. With the goal of encouraging “snack charging” in vehicles, at desks, and during brief stops at coffee shops and cafes, the consortium now lists a total of 692 certified, compatible products on the market, mainly charging plates and cell-phone sleeves. Ikea recently announced that it would be introducing furniture with built-in charging plates for smartphones and tablets. A new version of the Qi standard extends its range from 7mm to 45mm through the use of resonant coupling. That may not sound like much, but it does make the technology much more flexible in the types of places it is implemented. Samsung's new Galaxy S6 promises super-fast charging on a Qi charging mat. The other two groups creating wireless power specifications— the Alliance for Wireless Power (A4WP) and the Power Matters Alliance (PMA)— recently announced that they would merge . This brings together A4WP member companies such as Asus, Dell, Fujitsu, HP, Intel, and Witricity with PMA member companies Duracell, Proctor & Gamble, LG, and Starbucks. The A4WP promotes a resonant-coupling technology dubbed Rezence, which has yet to see any widespread commercial deployments, but there are a handful of PMA-certified products now on the market. 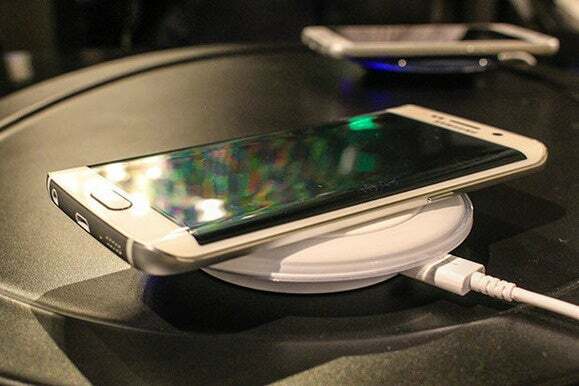 And Starbucks, for its part, had previously announced plans to roll out PMA-compatible wireless charging pads in its stores nationwide after successful pilot projects in Boston and San Francisco. Ultimately, all three of these technologies are all similar, but the materials used all differ in the values of their resonant frequencies and the power they generate. This isn’t likely to be a major hindrance in the long term, though. Qualcomm senior director of wireless power solutions Mark Hunsicker says that device manufacturers can simply incorporate components that support both major technologies. “To implement a dual-mode receiver is relatively straightforward,” he says. How might wireless power technologies be commercialized in the future? The deployment of mammoth Tesla coils to power entire neighborhoods is an unlikely possibility, but there might be a future for wireless power outside of keeping our phone batteries topped up. With resonant induction technology increasing the range of wireless charging, furniture manufacturers are integrating charging pads into desks, bar tops, and nightstands. 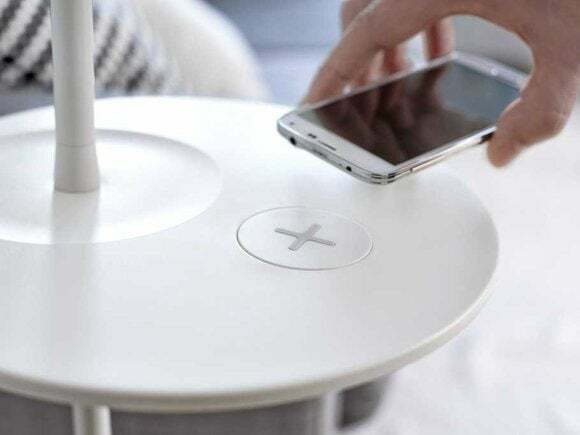 At Mobile World Congress 2015, Ikea announced its intention to embed Qi wireless-charging technology into some of its furniture. Electric cars are another area where this technology is already on the rise. At CES this year, two companies, including BMW, demonstrated wireless vehicle-charging technology. Just park your car over a pad in your garage and the vehicle charges automatically. What about putting chargers in the roadway then? While it’s just a concept, it’s an idea that could revolutionize road travel as we know it, keeping batteries topped up while we roll down the street.